The old RAF Stenigot base is set high up in the Lincolnshire Wolds and is a site I had been meaning to visit for a long time. 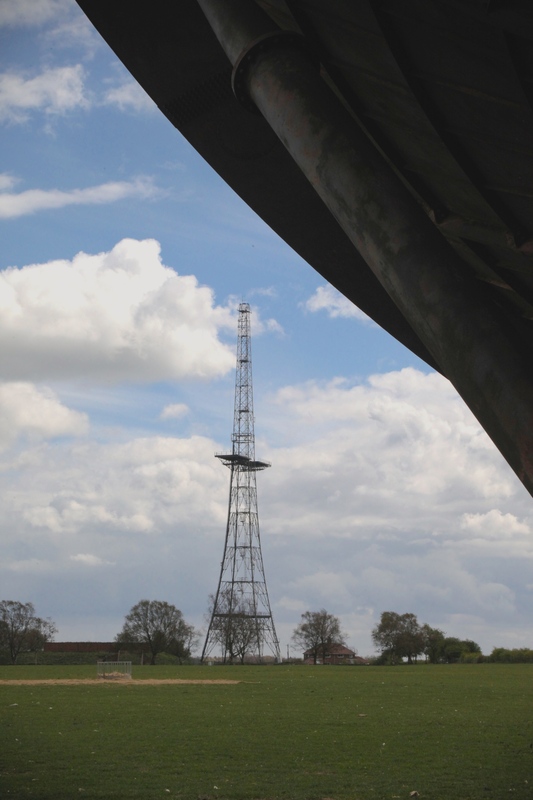 The site began with the large Radar mast (now a grade 2 listed structure) that was part of the Chain Home network of early warning radar installations dotted all around the country. Chain Home (often shortened to CH) was the codename for the system designed to protect Great Britain from the threats posed by Luftwaffe (Luftflotte 5 in particular) during WW2. After the war had ended, the site was retained and further developed. 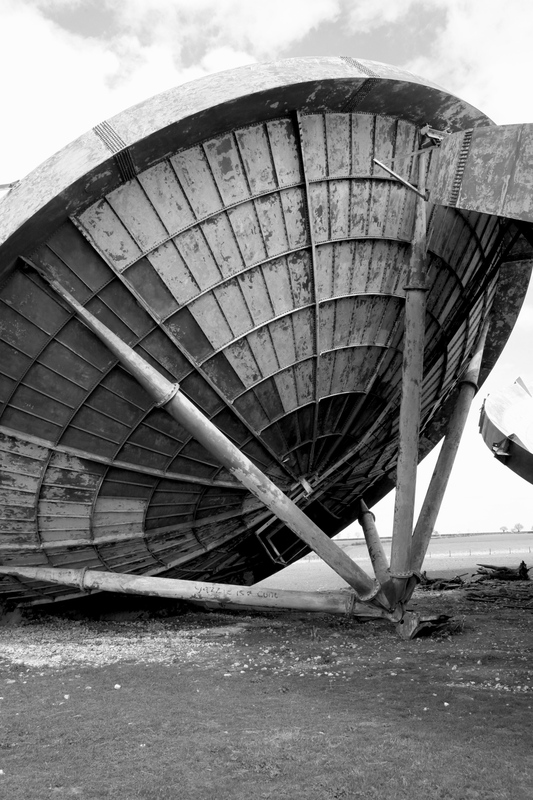 In the 1950s, a number of large tropospheric scatter dishes were installed as part of the N.A.T.O. 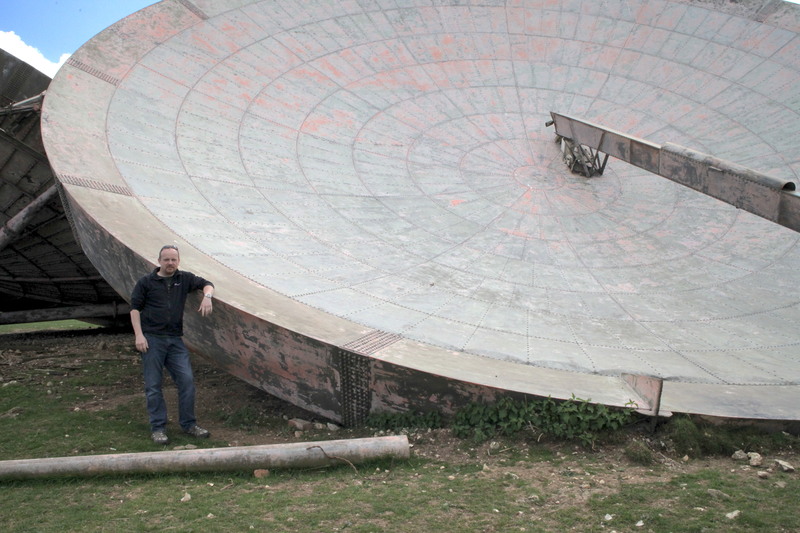 ACE High communications system, receiving the designation UBIZ – Stenigot. 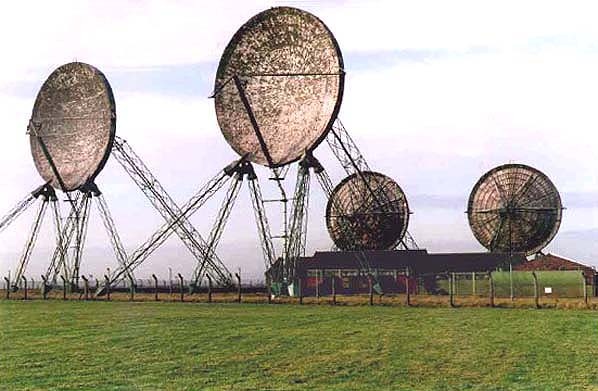 The ACE High system used tropospheric scatter (also known as troposcatter) which is a method of communicating using microwave radio signals transmitted over considerable distances (often up to 300 km) by effectively ‘bouncing’ the signal off the upper troposphere. In reality, this signal back scatter is caused by the refraction of transmitted radio waves in the upper (and more turbulent) parts of the troposphere resulting in only a small amount of the original signal strength being received. The RAF Stenigot base closed in 1988 and by the mid 90s had nearly all been demolished. 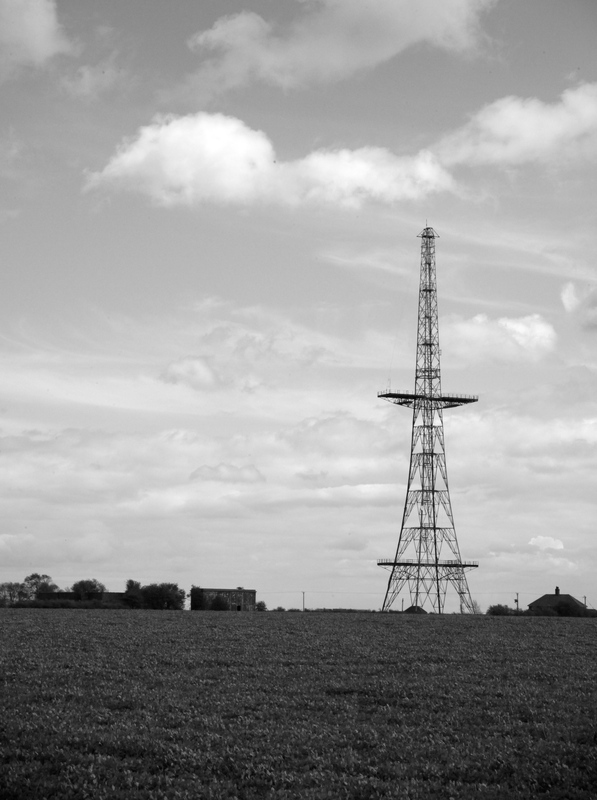 The radar tower is a grade 2 listed structure (thankfully) and is still used by the RAF aerial erector school (now based at RAF Digby) to select potential new recruits. 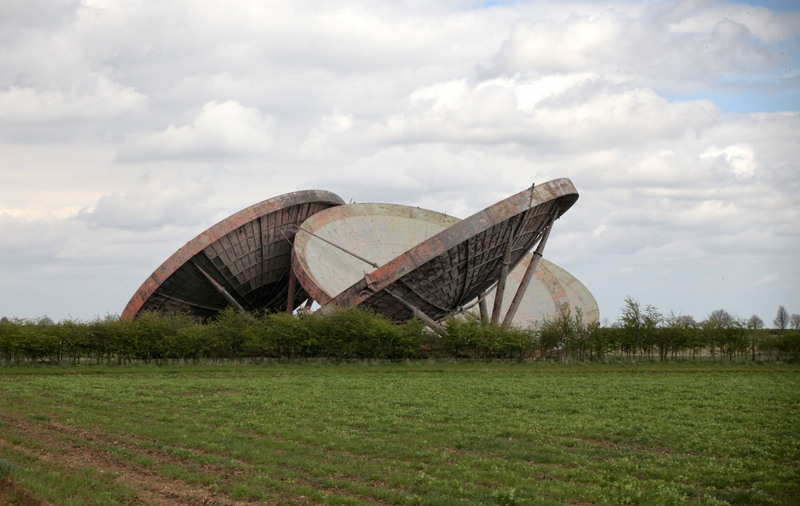 The ACE High dishes now sit forlornly towards the edge of a nearby field. I felt somewhat saddened by this. I would have been incredible to see the site when it was still complete. 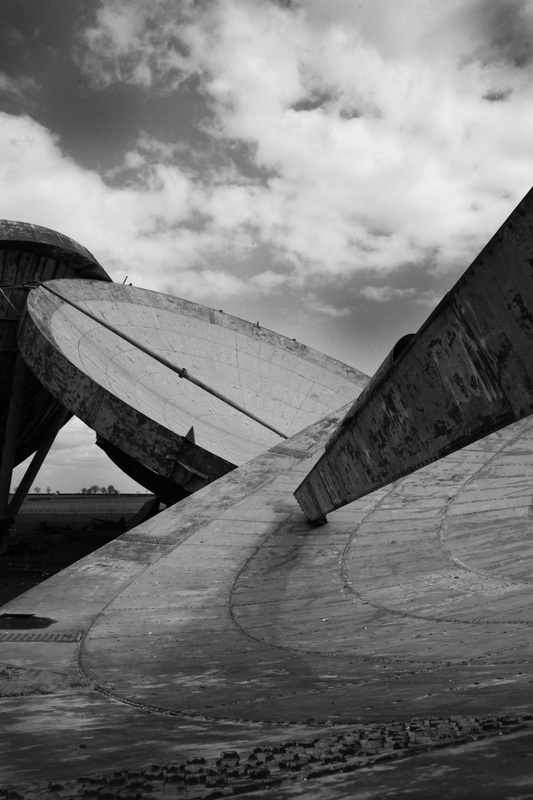 The selection of images below show the dishes and radar tower as they are today but even in their degraded state they still hold a certain appeal and stand (a now silent) testament to the scientific achievements of the past. 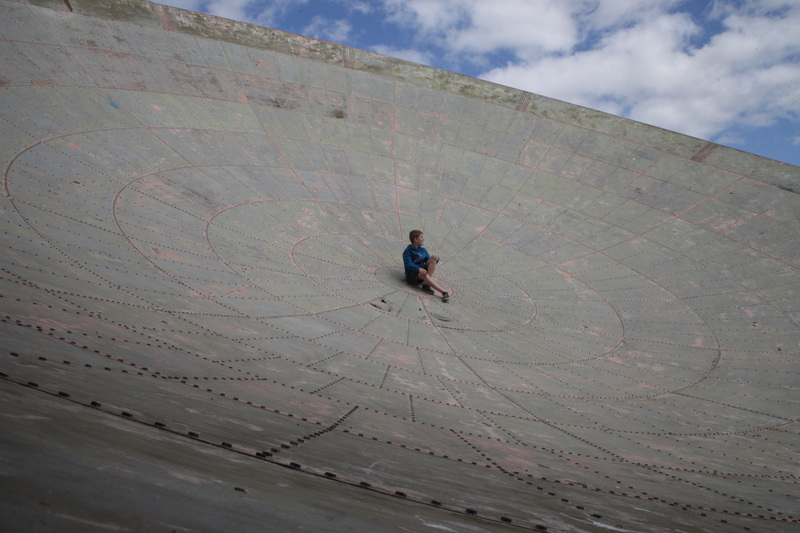 My son sitting in the centre of one of the dishes. 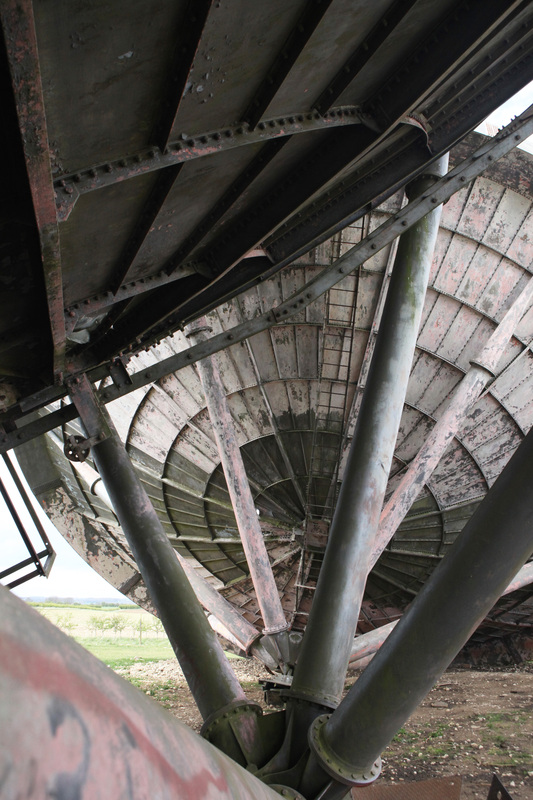 The rear of the dishes showing the supporting structure. The abandoned dishes seen from a distance.